Let Trentham racecourse become your runway this Saturday! We sat down with Julia Leuchars, Marketing Brand Communication Director at Trelise Cooper Group, Co-Designer of COOPER and a judge at this Saturday’s NZCIS Wellington Cup Day for her insider tips on raceday fashion. 1. In three words, how would you describe your personal style? 2. What is your best piece of fashion advice for first-time racegoers? Enjoy yourself, wear a great pair of shoes you can walk in all day and then dance in all afternoon (I’m talking to the boys here too!) and don’t forget to check the weather – last year it was sensationally hot on Cup Day and no one wants to overheat! Make sure you take in all the amazing experiences Wellington Racing has to offer- there is a veritable feast on offer with the beautiful Fashions in the Fashion marquee, the birdcage, live music and entertainment and of course we can't forget the horses! 3. As a fashion in the field judge, what do you look for in a winning outfit? I look for someone who creates a visual impact and has created a total look and is wearing it with confidence. Racewear fashion is all about looking sensational from top to toe so considering all the elements of your outfit is really important. 4. 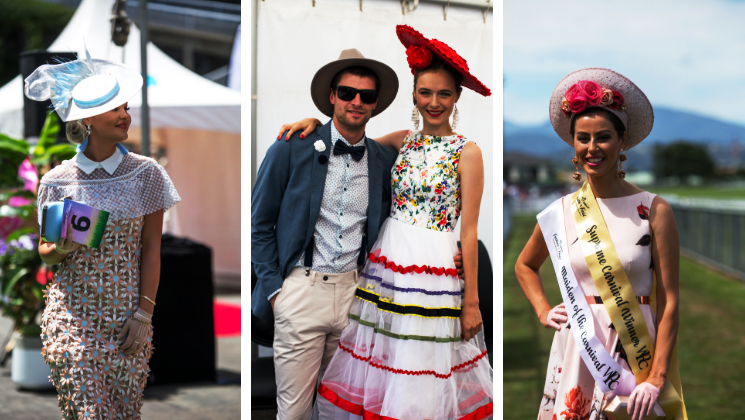 Are there any themes or trends you are expecting to see a lot of on the fashion stage at Wellington Cup this year? Racewear always gives a nod to current fashion trends and it’s really important that while traditions are acknowledged we also push the boundaries. I’d love to see some modern silhouettes, jumpsuits and curated trouser ensembles – 2018’s Contemporary Lady of the Carnival winner had curated a stunning modern look which was also incredibly chic and classic. 5. What raceday essentials do you always carry with you on the day? The trick really is how much you can pack into a small bag! My Essentials: Sunglasses, perfume, lipstick, my wallet (so I can hopefully place a cheeky, if ill-informed flutter!) and of course my Rydges room key– no one wants to get locked out after a day of fun at the racecourse!